The team at our Dallas custom shop can only think of one thing better than a custom Jeep: a custom Jeep that benefits a collection of worthwhile charitable efforts! That’s exactly what we’ve created with the I Stand Jeep Giveaway. From now until Memorial Day 2018, we’ll be accepting entries for this Starwood Custom Jeep Giveaway. At the end of May, we’ll hold a drawing with the grand prize of a white 2017 Starwood Custom Jeep Wrangler! Even better, the grand prize will include one-way air transportation for the winner to come pick up the prize and meet the Starwood Customs Crew responsible for building it. That’s right: the winner will get to visit Dallas and then take a legendary road trip back home with a custom Wrangler worth approximately $50,000. Entering the I Stand Jeep Giveaway is as easy as making a purchase from our Dallas custom shop’s online store. For every $20 you spend, not including shipping, you’ll receive an entry into the drawing. The more you buy, the better your chances become. You can also mail-in for entry; see the full contest rules for more details. We’re also currently selling a special I Stand t-shirt, which includes automatic entry into the contest. This limited t-shirt is also being sold to benefit a number of worthwhile causes. The net proceeds from I Stand t-shirt purchases will be divided evenly to benefit first responder, military, and inner city charity programs. Memorial Day will be here before you know it, so now is the time to explore our online store and get entered into this exciting giveaway! If a custom Jeep Wrangler and a trip to Dallas sounds like a good time, then don’t delay. 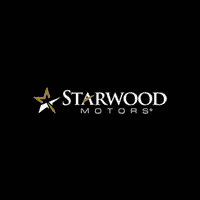 For more information, don’t hesitate to contact our team online or to call Starwood Motors at (800) 348-9008 today.